Pension Beta is located in a residential area of Prague 2,near by Vysehrad National Cultural Monument and Prague Congress Centre, close to the city centre. 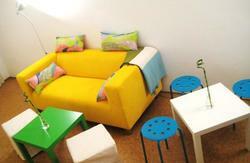 The Pension offers cheap accommodation in 1, 2, 3, 4 or 5-bed rooms with their own or shared bathrooms and WC . In case of shared social facilities there are altogether 3 rooms with 2 bathrooms and 2 WC separated for men and women on the floor. The building is connected well by public transportation which is easy and fast. Take tram no. 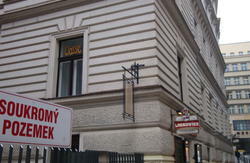 24 from Beta Pension and get to Wenceslas Square in 10 minutes! Tram no. 18 will take you to Charles Bridge,Old Town in 11 minutes and 16 minutes to Prague Castle. The reception desk is open 24 hours a day. The possibility to order rooms with own social facilities. Local taxes, buffet breakfast and bedding are included in the price . Luggage storage is free . Non-smoking rooms available upon request . Telephone,fax service and safe at the reception desk . Internet acces and WIFI in bar / internet cafe . The safe parking is 250 m far from our pension . Parking for coaches is 400 m far from the pension . Cycle rental available at the pension . We hope you will be satisfied with our service. We wish you a nice stay in Prague. 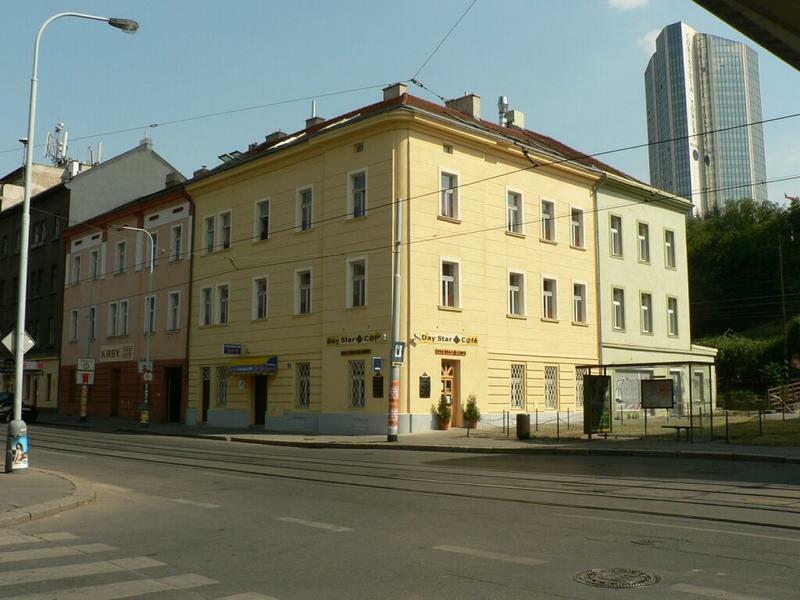 1) TRAM NR.7,18, 24 STOP SVATOPLUKOVA IS IN FRONT OF PENSION. THE CONNECTION FROM THE CENTRE TO PENSION BETA IS FROM CHARLES SQUARE (METRO STATION, YELLOW LINE 'B') . 2) THE MAIN RAILWAY STATION IS 3 KM FAR FROM PENSION. THE CONNECTION IS BY TRAM NR.24 OR METRO LINE 'C'. 3)THE AIRPORT RUZYNE IS 18 KM FAR FROM PENSION. TAKE BUS NR.119,CHANGE AT UNDERGROUND LINE A DEJVICKA STATION, GO TO MALOSTRANSKA STATION , CHANGE AT TRAM NR.18 MALOSTRANSKA STOP, GO TO SVATOPLUKOVA STOP. THERE IS BETA ON THE RIGHT SIDE . 4)THE CENTRAL BUS STATION FLORENC IS 4 KM FAR FROM PENSION . THE CONNECTION IS BY TRAM NR.24 OR METRO LINE 'C'.